Blair and Wendy’s outfits on Casual Fridays is basically my go-to uniform minus the sky-high heels and fussy purses that have to be held and can’t be thrown over a shoulder. 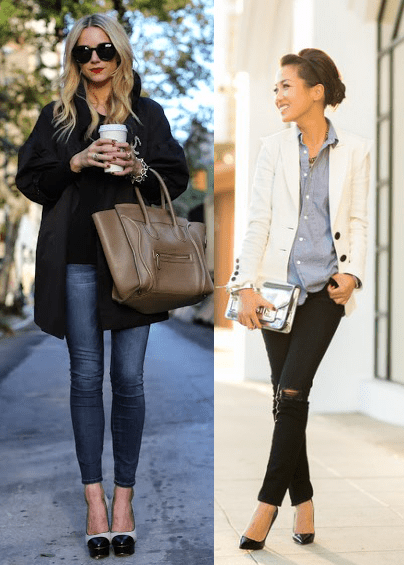 Skinny jeans, a shirt or a top underneath, a topper like a blazer or a sweater, some accessory (usually a ring), sunglasses, then pair it with boots or ballet flats and you can’t go wrong. Did you know that Wendy also launched her own e-magazine called The Frame? Stuff new homeowners never think about is the reason why I am leaning more towards having a condo in the future rather than a house. Even if I am paying condo fees, I’d be paying for the same maintenance in a house anyway. Plus I’d be in a concrete home rather than one made out of chipboard where basements leak, and toilets run to the point where your entire second floor after 6 months caves in. Just you wait, 2014 – 2016! I just may buy a condo yet!! If you like packing and travel posts, give this one a look over because she admits that she likes to overpack (unlike me), but is only bringing one carry-on! .. but they convert to booties!!!!! Not buying any boots at all of course, but I am just looking. Actually I should probably just ask myself this super long list of questions on how to never regret a purchase again. Guys, you should date a female personal finance blogger… that is, if you can find any of us who are single and in your area. If you do, maybe she’ll become the breadwinner, which seems to be a growing trend happening right now in Toronto. At the very least, find and date a girl who understand what a budget is and how to take care of her money even if it’s just saving it. The investing in index funds for the long-term can come later. Or you could just have purchased Bitcoins back in 2005 for $26 on a whim and made $850,000. Most people spend their lives looking for their dream jobs, so what happens if you decide to quit your dream job? Or maybe, you stay in your dream job and end up finding a way to make almost a million by the age of 31. Going to Paris any time soon? You should take a look at what to pack if you’re heading to the City of Light. From what I can see, this is the perfect Parisian wardrobe full of neutrals. But I don’t think anyone would protest this hot red coat that I’m currently dying over, if I were to wear it over a neutral wardrobe like the one pictured above. I’d also recommend reading Allie’s post on When Multiple Clothing Makes Sense. I am guilty of this. I love multiples of things because I JUST KNOW no other pant or top will fit the same way. Saving is all well and good (in fact it’s one of the foundations of growing wealthy), but don’t forget that hiding your cash under your mattress or in a “high-interest” savings account means you’re missing the other half of your wealth equation — focusing on the returns. Personally, I don’t like to gamble and I’m a bit lazy. I have some money in individual stocks, but most of my wealth is invested in index funds / ETFs, but it’s also because I like to save big amounts of money when I work. If you are interested in individual stocks and Warren Buffett in particular, I suggest you read this post. Are you ever curious how (and more importantly, why) billionaires with BILLIONS would bother to pinch pennies? I’m pretty sure I’d be an awful billionaire. I really like the looks Angie picked from this blogger! Other than the fact that she wears heels and I’d swap them out for flats (especially if there is any hint of snow on the ground), this is definitely my kind of style. Now to look for a turtleneck….. and a denim shirt to re-create that middle look! Or not. Considering that there’s a dirty secret of ‘discounts’ that happens every day at retailers. Did you ever shoplift anything as a teenager? Some kids probably steal because they feel resentful that their parents don’t buy them anything or give them money for things like candy.. but that’s a question of education and explaining why the family doesn’t have money for those things. I had a friend when I was young who was a shoplifter, but she learned it from another friend whom she called “the professional shoplifter”. They knew how to pretend to yawn and reach their hands over their shoulders to avoid the metal detectors.. but it all gave me such heart palpitations that I stopped going out with them to shop. The second is just a gorgeous water painting. 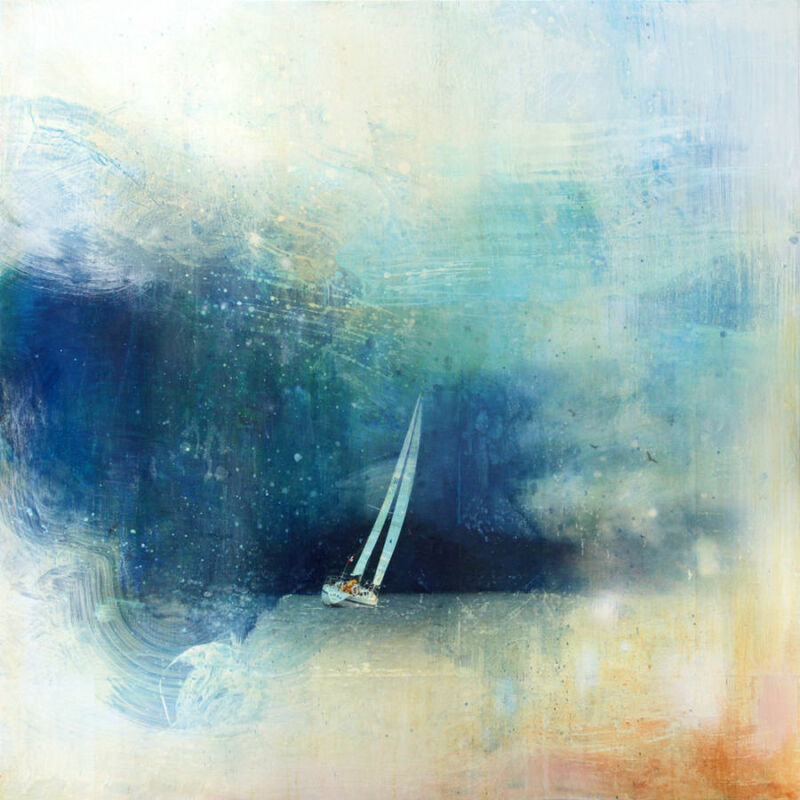 I saw him on “Candice Tells All” (a very good home design show on HGTV) and his mixed media work is stunning. If I ever buy a place (a permanent one) I will consider buying one of his pieces. My BF used to work at Coach, so he would get a 40% discount! You can bet that I took advantage of that discount a lot! Those convertible boots are awesome! Okay.. now I want them. @CorianneM: Those boots look like a good mix between casual yet.. stylish 🙂 Biker boots were the rage in the Paris from what I could see.. it just looked so good on the girls there. If I lived in Toronto I feel like we would always go shopping together. I was just showing my friend some FRYE boots that I was looking at buying after my No Shopping Challenge. My philosophy on shopping has totally changed after this challenge. I am obsessed with the shoes in section #11 on the far left side. The Parisian Wardrobe is the way to go-I just love bright colors. The two fashion bloggers that you highlighted are AMAZING. I have a secret confession I would love to be a fashion blogger. Maybe in 2015? I know all the good spots in Toronto.. especially for thrifting / consignment.